How green can you be? 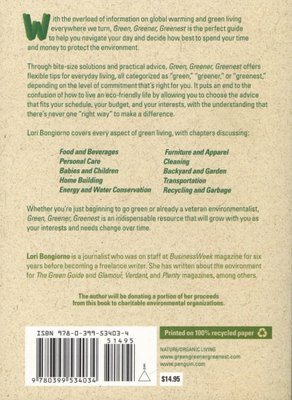 Green: Drive the speed limit Greener: Drive a fuel-efficient car Greenest: Bike or walk The perfect guide to help readers decide how to best spend their time and money to protect the environment, "Green, Greener, Greenest" offers flexible tips for everyday living, all categorized as "green," "greener," and "greenest." 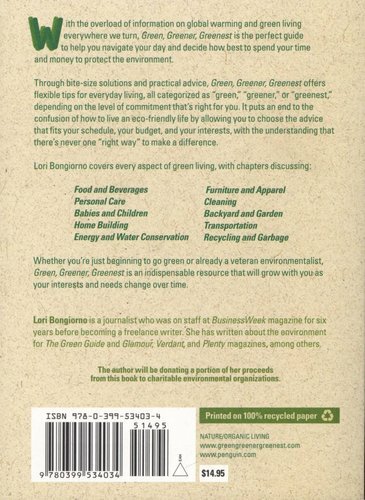 Cutting through the labeling and the hype, it helps readers choose the advice that fits their schedule, their budget, and their interests, with the understanding that there's never one "right way" to make a difference. 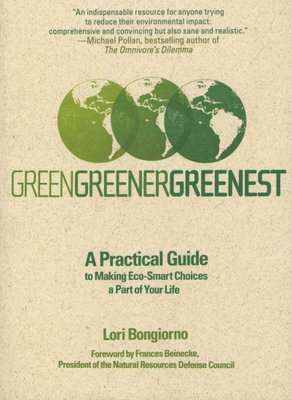 This indispensable resource will grow with readers-whether a novice in green living or a veteran environmentalist-as their interests and needs change over time.